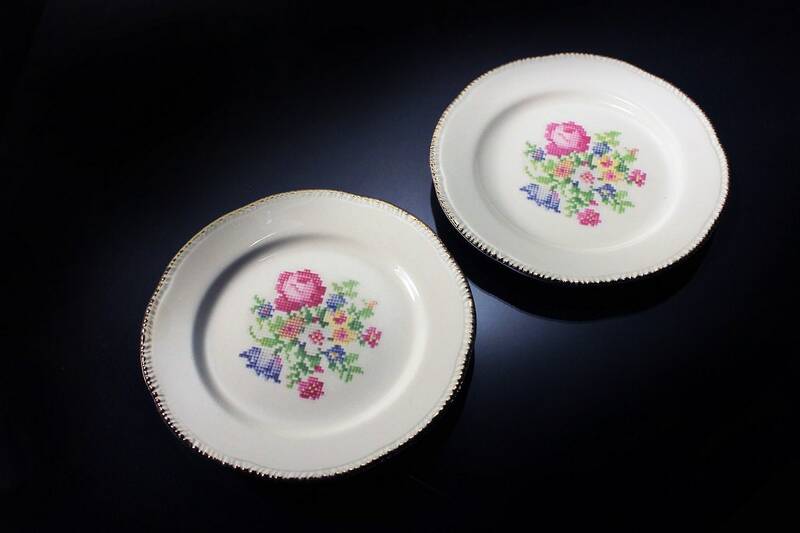 A gorgeous set of two bread and butter plates by Homer Laughlin. 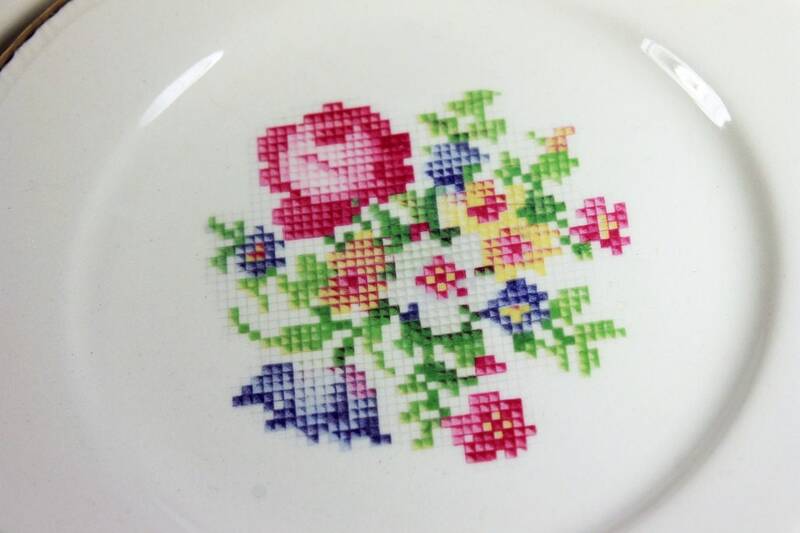 The pattern is called Petit Point and consists of a floral center with gold trim. 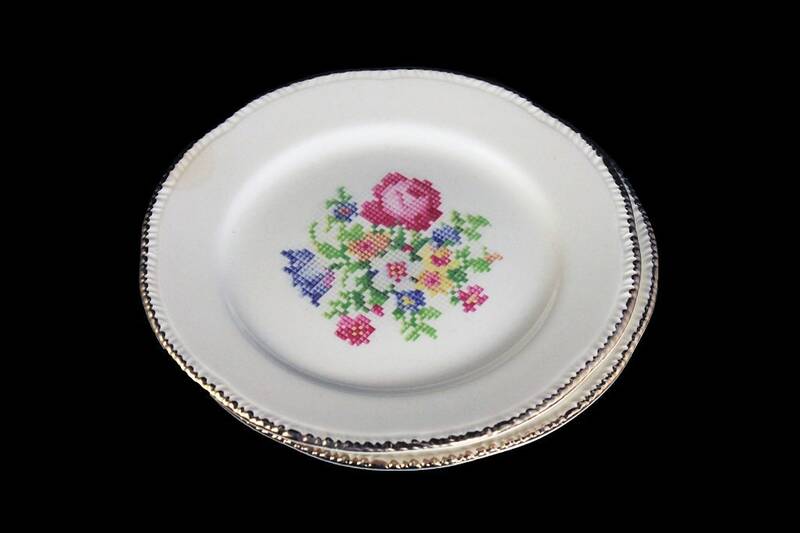 Its floral center is made to look like needlepoint stitching. 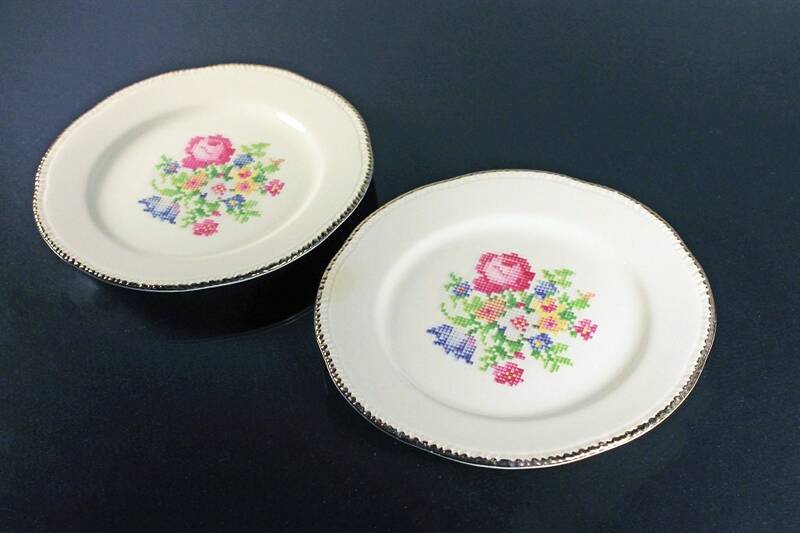 This pair of plates would make great replacement pieces. 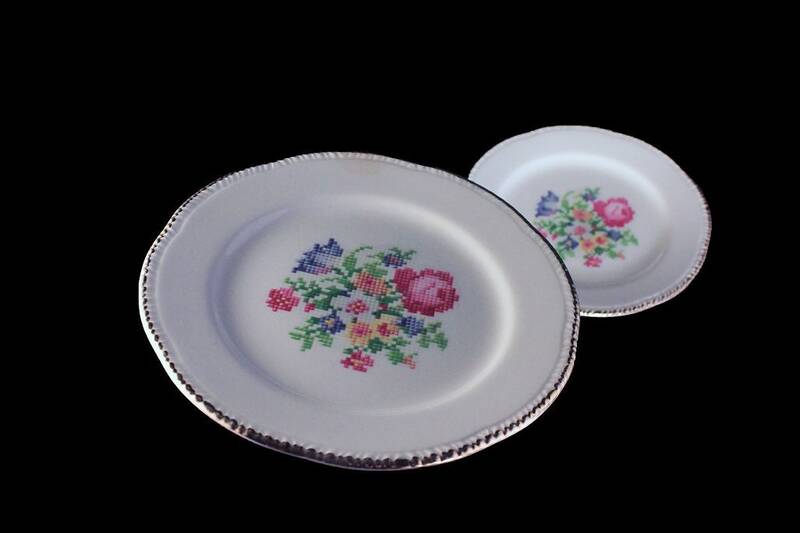 These would look lovely on any dining room table, buffet table, or side table. 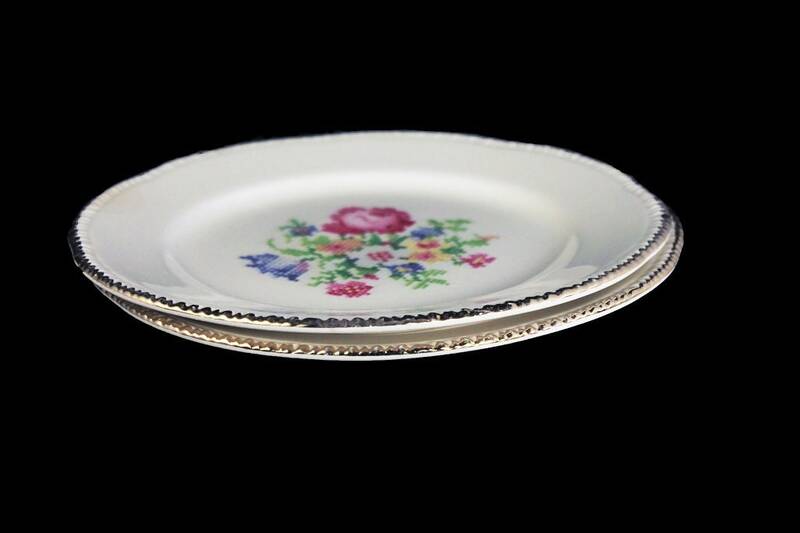 Elegant and versatile plates with the grace from a bygone age. 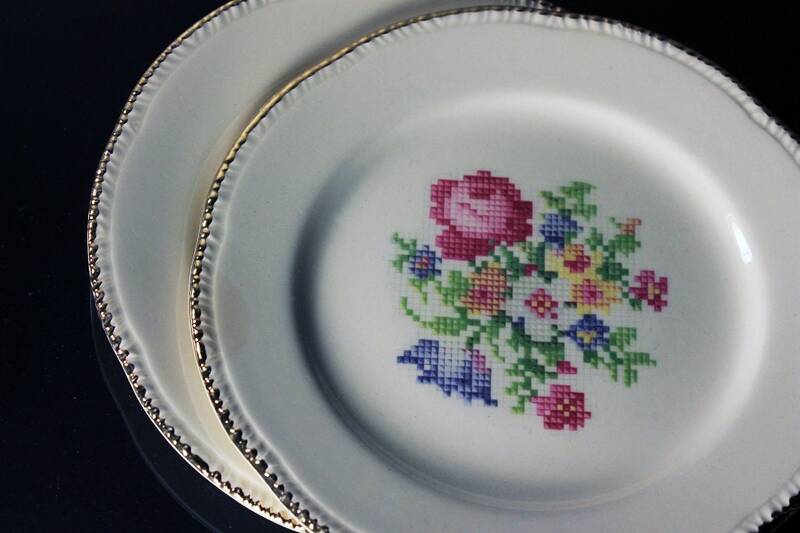 These plates are in great condition. There are no chips, cracks, or crazing. 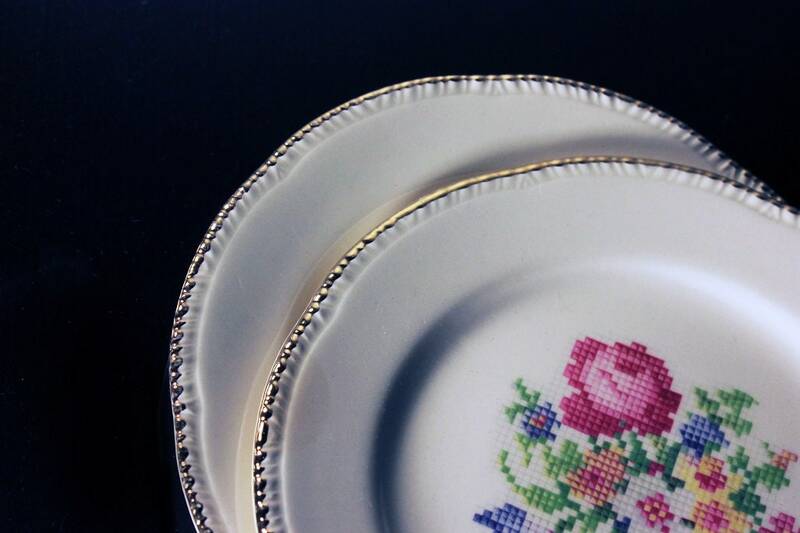 They do have utensil marks from years of being loved and used. 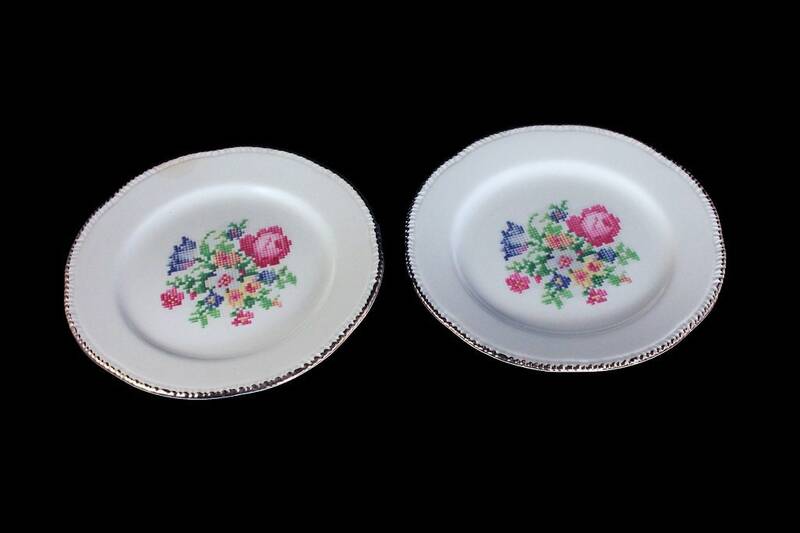 One plate does have one small brown spot on the edge.